Does your newborn have zero interest in being anywhere other than your arms? Who can blame him? This big, new world isn’t nearly as cozy as his previous digs. But sometimes, you two peas in a pod have to part ways to get some shut-eye. Despite trying every trick to ensure he sleeps like a baby, he’s decided to actually sleep like a baby: up all night, ready to party, poop, or cry unless he’s being held. What’s a sleep-deprived parent to do? Try Zen Swaddle. Research shows that touch, even simulated touch, calms babies by triggering their self-soothing response. 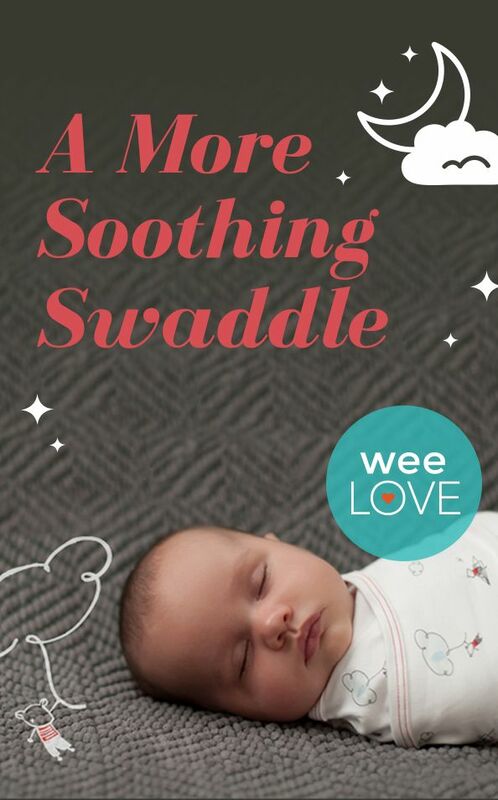 The Zen Swaddle’s lightly weighted areas apply gentle pressure on your baby’s sides and center, mimicking the comfort of being held. This helps newborns snooze through minor disturbances, even startle reflexes. During their test phase, mothers reported that their babies got at least two hours of extra sleep. Ever think you’d be so psyched about getting just a few hours of sleep? Welcome to parenthood. Not getting weeLove in your inbox? Join weeSpring!